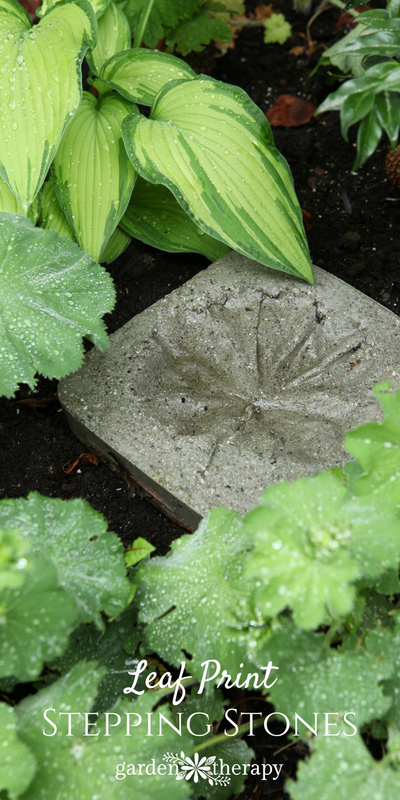 This Weekend Project is a decorative way to preserve the garden by capturing the beauty of leaves all year round as stepping stones. You don’t have to work hard for a whole weekend to do it, though! It’s a simple project that is quick and fun to do, but the concrete needs some time to cure after the stones are poured. These stepping stones are an economical way to make a personalized pathway that protects your garden, or simply add them here and there as a decorative feature. As pretty as they are, let’s not ignore their practical importance: these concrete beauties allow a person to walk through their garden easily without worrying about hurting precious plants. Stepping stones are laid to prevent the soil compaction that results from tromping through the garden beds. Walking directly on wet garden soil can destroy the structure of your soil, reducing plant root’s ability to retrieve water and nutrients. 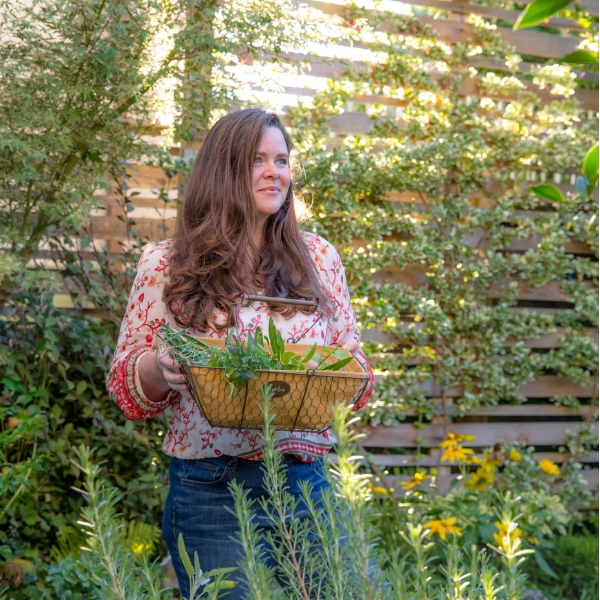 Unless your garden is all within arm’s length, stepping stones are a functional way to reduce the stress on soil structure, and they are pretty darn, well, pretty! 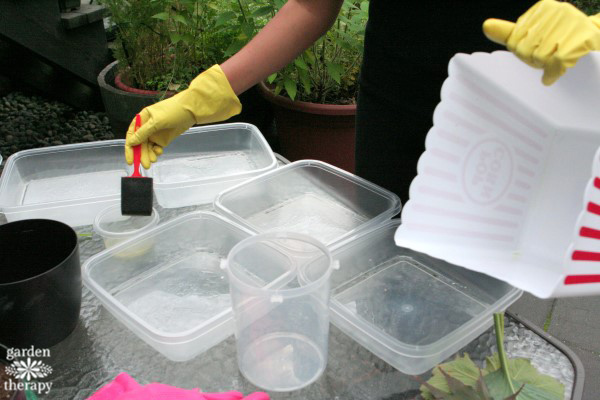 Choose containers that will make a good size for a stepping stone. 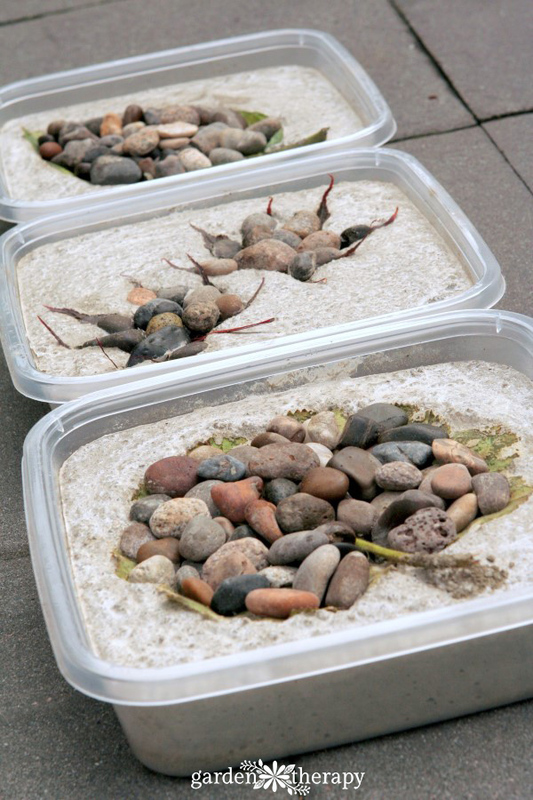 For round stones, use plastic plant trays. For square or rectangular stones, use plastic food storage containers. The ones I choose had relatively straight sides, resulting in straight-sided stepping stones. Choose leaves with interesting shapes, strong veins, and defined edges. 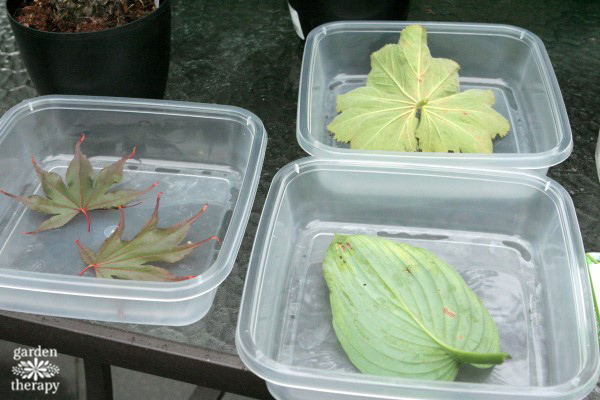 Shown here (clockwise from top) are Lady’s Mantle, Hosta, and Japanese maple leaves. The maple leaves’ pointed edges made their shape less successful than the other two (see final photos), which will influence my choice of leaves in the future. Use the foam brush to spread the vegetable oil around the inside of the container and on the vein side of the leaf. The oil helps the concrete to release from the mold as well as allows the leaf to easily peel off. It seems like a small step but it will save a lot f time in trying to remove the stepping stone and remove the leaf material if it is skipped. 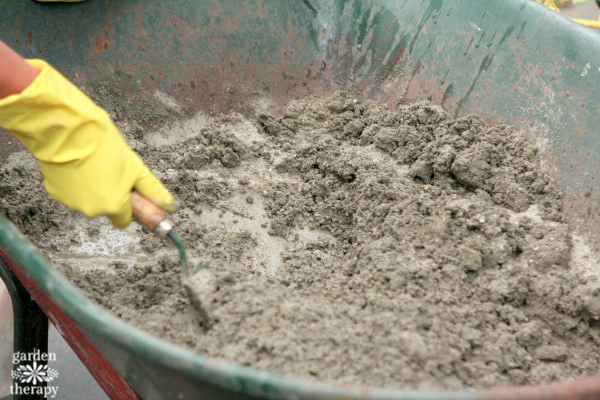 Mix repair concrete (concrete without large pieces of gravel) as per the instructions on the bag using the wheelbarrow, trowel, and rubber gloves. Pour the concrete into the molds and press the leaves, vein-side down, onto the concrete. Be sure to press each leaf evenly with the flat part of your fingers so that the whole leaf imprints (not just where you touched with your fingertips!). Weigh the leaves down with rocks or stones and allow to set for 24 hours. Cure as per the instructions on the concrete package and then unmold your stepping stones and place around the garden. I weighed the leaves down with river stones removed them from the molds after 24 hours and, voila! I was also lucky enough to have worked with a creative friend that day, which is a good thing because concrete can get heavy! My friend made some stepping stones with leaves and foam letters we bought at the craft store. Isn’t it fun to work with others? You get so many great ideas! Her letter/leaf stepping stones turned out perfectly! 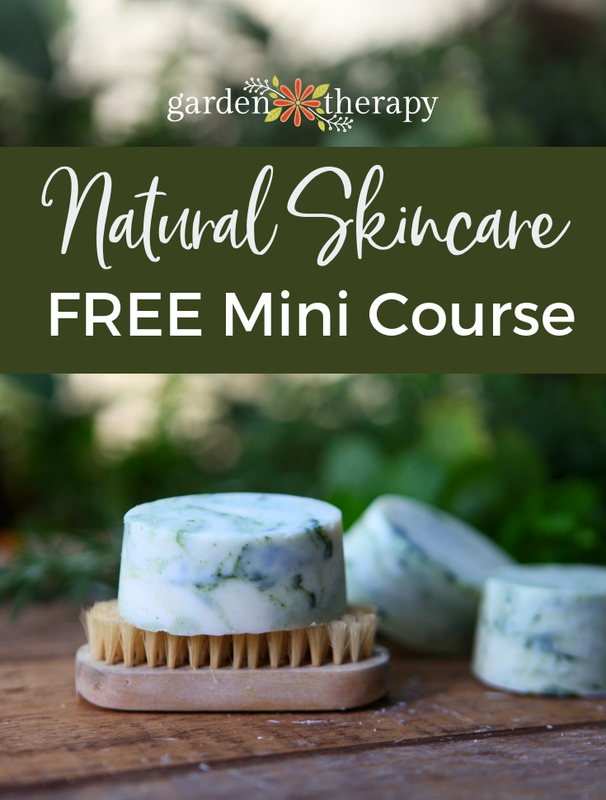 Please have a look at all of the creative Weekend Projects, Garden Projects, Craft Projects and even Recipes to be found on this blog. Perhaps you will find something to work on with your brilliant pals. Do you actually take the leaves off the cement or leave them on the cement and they disintegrate? Could I use fake leaves or would they be permanently imbedded? Hi Rose, yes you peel the leaves off after the cement has dried. The oil that is applied on the vein-side helps it to release easily. Those maple leaf imprints that don’t look much like leaves do look like a small foot imprint – like the ones you see representing dinosaur footprints. Angled differently of course.